Bhubaneswar: Odisha Pradesh Congress Committee (OPCC) president Niranjan Patnaik on Wednesday demanded that the Odisha government must notify the exact time period regarding the appointment of Lokayukta. 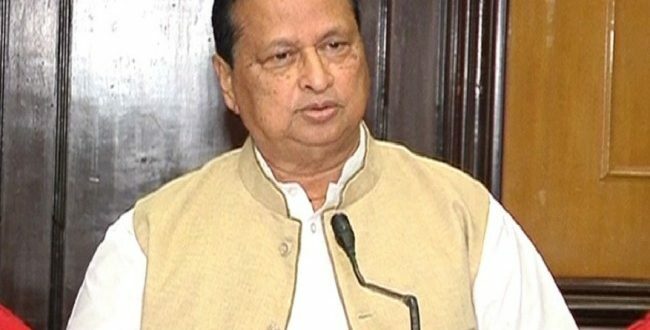 Patnaik said even though the state government claimed that it had been the first to announce a state act, after the UPA II’s Lokpal and Lokayuktas Act, 2013, it did not appoint a Lokayukta in Odisha. The Odisha Lokayukta Bill 2014 was passed in the Assembly in February 2014. It received the President’s nod on January 28, 2015, but not notified. It assumes that the old Odisha Lokpal and Lokayukta Act, 1995 thus stands, and has not been repealed, he pointed out. “So first of all whether the old act is in place or the new one is going to be notified the state government must clarify,” said Patnaik. The Act would bring the Chief Minister, ex-CMs, other ministers and public servants under the purview of a six-member anti-corruption body to be headed by either a sitting or former High Court judge. As per the deadline of July 10, given by the apex court, is going to expire in a week. The Odisha government should clarify whether it has started the process of appointing Lokayukta and if so, should announce the time frame to complete the process,” demanded the PCC president.